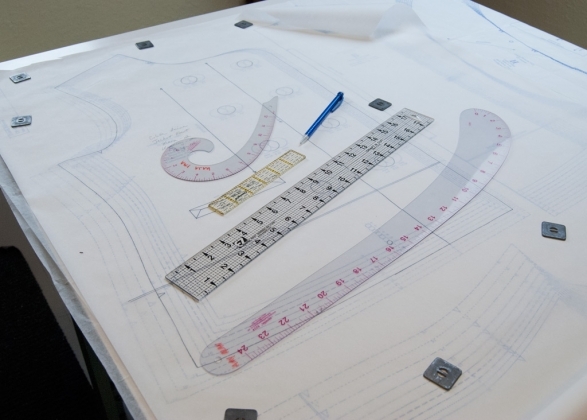 When you use a commercial sewing pattern, do you trace it? I know a lot of people who do trace, but sometimes it’s so tempting to push that aside and go ahead and cut into the printed tissue pattern. I do a little of both. I’ll trace a pattern if I know it’s something I’ll make over and over, but I’ll cut a pattern if it’s something that I’ll only make once. And you know what happens? The pattern that I don’t trace is the one that I use forever, and the poor tissue paper shows it! Rob’s shirt pattern is an example of that. I’ve used it quite a few times, but I didn’t trace it onto tracing paper, and now it’s quite sad looking. There are several reasons for tracing, one of them being pattern wear. Another reason is that you can keep all of your sizes intact. What if you make a garment for yourself and then your best friend wants you to make the same dress for her? If you cut out your pattern and the two of you are different sizes, you’re out of luck! Tracing allows you to always have the other sizes handy, and it’s nice to be able to easily draw and cut between sizes, especially if they aren’t nested. My favorite tracing paper to use is Swedish tracing paper. It’s nice and thick and can actually be sewn up and used as a more durable fitting shell than a tissue pattern. It also stores well, doesn’t tear easily and is easier to tape than tissue. I get mine from Modern Domestic, but you can also find it online. When you’re ready to trace your sewing pattern, the first thing you’ll need to do is iron it (that pattern, that is). Put your iron on a wool setting, and with no steam, carefully press out the creases in the paper. Spread it out over a large smooth surface and cover it with your tracing paper. Get out an assortment of rulers and a mechanical pencil (for the fine point), paper scissors and pattern weights. Once you decide on a size, trace around it. Be sure to include all notches, button markings and the grainline. 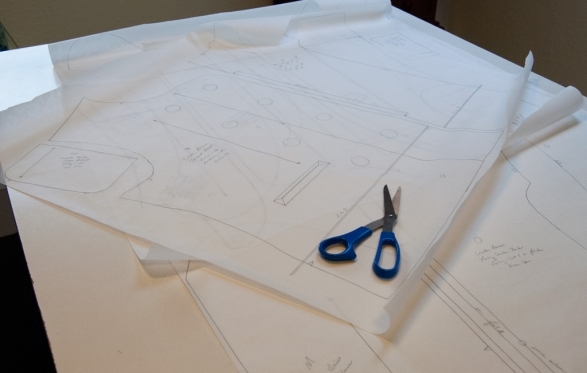 Write the pattern name, piece name and/or number, the number and type of fabrics to cut from the piece, and most importantly, the size you traced off! When all of your pieces have been traced, you can roughly cut them out if you are going to cut them with a rotary cutter. Don’t worry about cutting them all out exactly on the outer lines. Once you have that done, you can lay out the pieces to cut them. When you go around them with the rotary cutter, you’ll be cutting out both your tracing paper pieces, and your fabric pieces, saving you some time. I would recommend that if you’ll be cutting out your pattern with scissors, that you cut out your tracing paper pieces first. 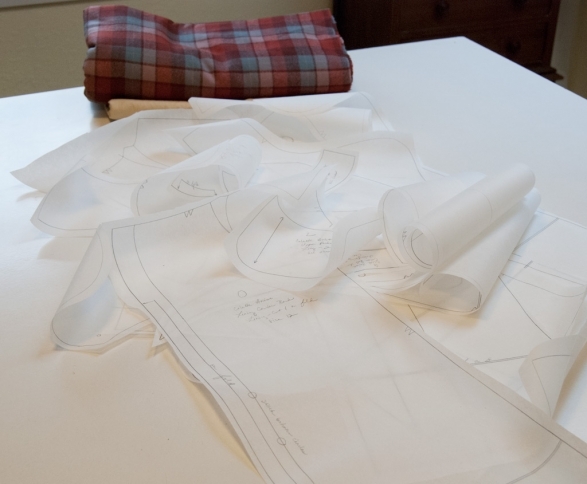 Do you trace your sewing patterns? Or do you dive right in and cut them up? 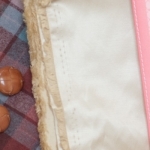 This entry was posted in How to Sew, Patternmaking and tagged clothing, drawing, patterns, sewing on September 21, 2012 by Amy Alan. to your blog. I came to you via Craftsy where I just signed up for your class! were not “nested” together like they are today. (Yes… I don’t feel it but I AM that old! :-S) When I purchased a pattern I bought the size I needed, there were maybe 2 or 3 different sizes in the envelope and each pattern piece was printed separately therefore… there was no need to trace. I’m thinking I will probably be a tracer although I can see the temptation to just cut away, particularly if I’m excited about the project or I have a deadline! I LOVE Eugene! One of my very good friend’s mother lives there, and her house is a craft and sewing DREAM. 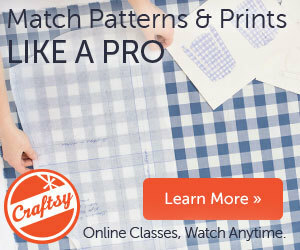 I’m so glad you signed up for my Craftsy class- woo-hoo! Yes, let’s get that Bernette into some fresh air! If the pattern sizes are printed separately, that’s wonderful! However, it is easy to wear out and tear that tissue paper! Tracing can save you a lot of heartache later. I hope you have fun getting back into sewing- especially for yourself! Thanks for this. The pattern threw me because they said to trace the pattern onto the fabric, which didn’t make any sense to me. Your suggestion is much better. I should trace more patterns, especially for my grand daughters. Perfect! I’m really glad it helps. 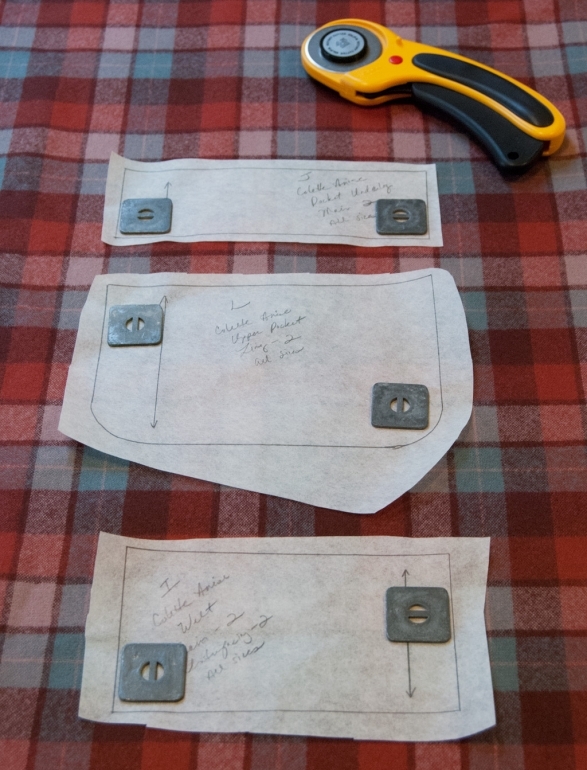 Tracing out your pattern onto your fabric is great when you’re using scissors to cut out your pattern. There’s no risk of the scissors shifting and catching the paper, so you’ll make more accurate cutting lines. This tutorial is for when you cut with a rotary cutter, which is my favorite way. Hi, Amy – I’m taking your serging class, too. Also have a Bernette 234 that has been used alot, but I don’t know how to do anything beyond barely basic. So excited to get going this week. Where did you get your pattern weights? I’m ready to give up massive pinning! My pattern weights aren’t technically “pattern weights”. They’re actually very old weights that you’d put in the bottom of drapes! They were in an old sewing kit my neighbor gave me, and they worked perfectly for this though. You can buy actual BB-filled pattern weights in a sewing store, however buying large washers at a hardware store works just as well. If you get those though, make sure you wash the oil out of them. They work great and are very inexpensive! You are very welcome! I have been meaning to go there and pick some up for myself as well. I want to spray paint them a nice mint green color! I was going to suggest painting your washers as well. Also, I like the heavier over the larger size. Find the ones that have some weight to them, then go up in size, and have a variety if you can. 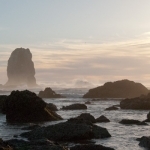 Great blog- first time here and came via- craftsy web site, too. I agree with heavier washers over a larger size. I like using these drape weights because they’re small! However, I should probably beef up my pattern weight stash, and oh, make some “real” ones. Looks like a good procrastination project! Ha! Thanks for coming by and leaving a comment, Lisa! I appreciate your input. After reading this I purchased some Swedish tracing paper. That stuff is amazing!!! Its so durable I feel a little regretful that I just bought 10 y of Muslin for pattern fitting. You could easily do it all with the tracing paper! Yay! Isn’t it FANTASTIC?! I go thru lots of rolls of it, and it’s definitely my favorite pattern paper. I would keep that muslin! It’s always best to sew up a pattern in muslin, but yes, there are lots of fitting issues you can take care of with the tracing paper. I’m so glad you like it!